CD 1: "Floating World" & "Waves"
CD 2: "Kites" & "Way of the Sun"
8. Arrival of the Emporer: "What does the venerable sir do?" 9. Teh Ch'eng: "Do you understand this?" This anthology, including almost the best stuff, represents a softer direction here, above all if you consider the album "Floating World", entirely included; and moreover this light atmosphere seldom is more aggressive. Anyway the music themes are always pleasant. By regarding the lack of inspiration during their attempt to change route, you can better appreciate their 1st turning point, rightly represented by "Floating World"; and the 2nd one instead was determined by the enter of Duihig's brother on guitar. Despite of the presence of such pleasant melodies, in between there are surprising powerful riffs, like those ones within the track "Monkey Chant" or Red Lotus". The song "Memories of a Distant Sea" is fine and its melody is captivating too; while "Rainflower" and "Easty" are a Duhig brothers'trademark once more, with a shining personal style and their distinctive guitar sound as well. It's not a masterpiece, but you find memorable songs and a captivating style too, such as that one regarding tracks like "Songs of the Forest or "Arrival of the Emperor...". A simple but stunning representation of their essential captivating style: it's also very original!! Hey, what do you want??!!?? They packaged all 4 Island albums in one slim package!!! My only complaint is that Waves isn't divided up into separate tunes, just Part One & Part Two, as on the LP. That was a mistake, since, like all of their albums, there are great tunes and good tunes and okay tunes. I would like to be able to pick and choose. Let's face it, these guys were incorporating elements of World Music and New Age long before those styles even had names. And doing it as well as anyone has done it since. And on a shoestring budget! This is a handy bargain including four Jade Warrior albums, which they did for the Island record label in the 1970's. I personally like more the earlier material of this band, but these ambient oriented and slightly symphonic new age suites are quite pleasant too. I have gotten an impression that many listeners who like these albums, do not so much appreciate the earier psychedelic rock recordings this group did. These four albums focus to more coherent oriental influenced symphonic themes, and are also done more controlled by the guitar player and flautsts duo. If you like for example Mike Oldfield and Vangelis, this record quartet would be my suggestion to you, based on my honest, rational, and argumented quess. Also it is a fair bargain for those who have these albums as vinyl, and wish to safekeep them for treasury fascination ruin these CDs instead in the car, walkman or office. Also as a definitive compillation, it sums up all of the albums of a one era neatly. Only 4 and 5 star-rates have been given to this, and I'm not breaking up the concensus either. Jade Warrior is a duo of Tony Duhig (guitars, percussion) and Jon Field (flutes, percussion), with occasional guest musicians. Elements is a 2CD containing four studio albums '74-'78. I quote an earlier reviewer: "these guys were incorporating elements of World Music and New Age long before those styles even had names. And doing it as well as anyone has done it since." True. 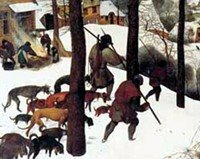 Amidst acoustic peaceful soundscape there is also a certain happening, even bursts of drama. And as the band's name and cover suggest, some Oriental (Japanese) flavour can be heard. Of the four albums Way of the Sun (78) - which seems to have the lowest rate as a separate album - is the most lively, freewheeling and rhythmic and in my opinion gives a nice contrast to the floating and oceanic Floating World and Waves. The nature of Kites can be hinted by some track titles: 8. Arrival of the Emporer: "What does the venerable sir do?" 9. Teh Ch'eng: "Do you understand this?" 10. Arrival of Chia Shan: discourse and liberation 11. Towards the mountains. All in all, a generous package of very original instrumental music guaranteed at least to bring new flavour to anyone's music collections if not to be greatly enjoyed. Jade Warrior is one of the least known British prog bands of the 1970s. Although I started listening to prog in 1975, I never knew about their existence until I read Edward Macan's Rocking the Classics, and I never even heard their music until I managed to buy this set in 2001. Elements contains four complete albums, all of which I have reviewed separately for Prog Archives. All these albums consist of subtle instrumental prog, mainly acoustic (although Tony Duhig plays a mean electric guitar) but full of surprises, and never sentimental. This music will appeal to anyone who likes early Mike Oldfield (without the cheese, and without the endless repetitions) or the American band Oregon at their most inspired. A true bargain - grab it while you can! 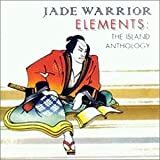 Post a review of JADE WARRIOR "Elements: the Island Anthology"